Many people agree that there are few things in life as remarkable to witness as a solar eclipse. It’s one of nature’s gifts that can be absolutely jaw dropping and awe inspiring, but to enjoy it properly special eye protection is certainly required. Enter Tropical Sales Corp, a travel and tour company who have established as reputation of being the leading distributor of high quality, but still affordable, Solar Eclipse Viewing Glasses . 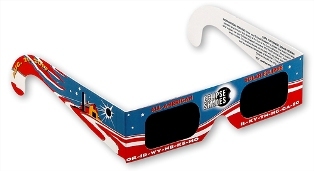 The company recently announced they are accepting orders and shipping in time for the August 21st total solar eclipse which will be viewable in 48 states. In addition to offering the solar eclipse glasses, Tropical Sales Corp offers tours to observe solar eclipses worldwide. Tropical Sails has made several useful tools available on their website to help visitors get the most out of the experience. These include a map that provides a project of the path of the total solar eclipse, as well as a exciting interactive calculator which can help determine when the eclipse reaches a particular location. According to the company, their Eclipse shades provides 100% protection from harmful ultra-violet, 100% of harmful infrared, and filters 99.999% of intense visible light. The prices for the glasses start at $2.95 and drop even lower according to the quantity ordered.